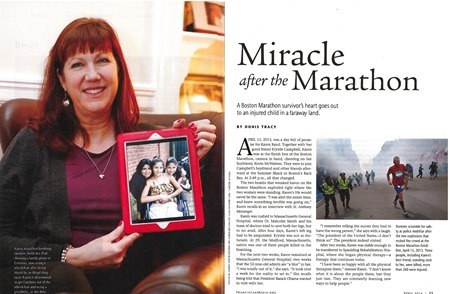 Once again this month, I have worked with St. Anthony Messenger for photos to accompany the article “Miracle After the Marathon”, appearing in the April 2014 issue. The article tells the story Karen Rand (now Karen McWatters) who was standing with her friend Krystle Campbell near the finish line of the Boston Marathon in 2013 when the bombs went off. 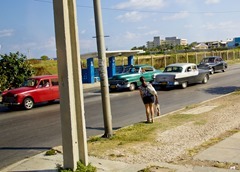 Krystle was killed and Karen, though she survived, lost her leg. 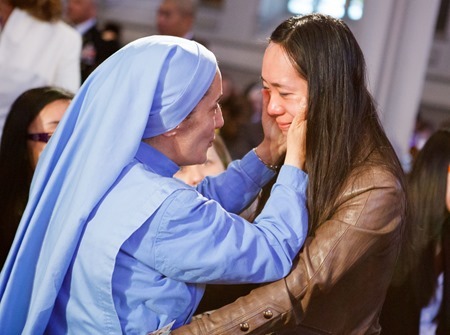 The article tells the story of how, even as she was dealing with her own challenges, Karen was inspired to help a teenage girl from El Salvador, Estefanía Salinas, who lost her leg in a tragic auto accident. 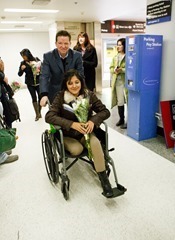 Karen worked to bring Estefanía to Boston in late February for treatment and I am happy to report she took her first steps with her new prosthetic leg in March. 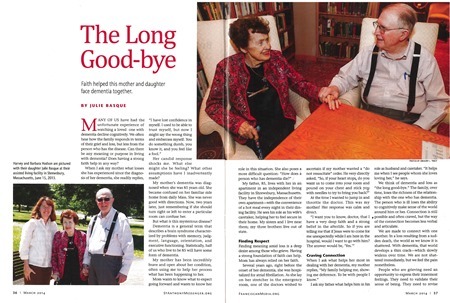 My photos of Harvey and Barbara Hodson are featured in the March 2014 issue of St. Anthony Messenger magazine. 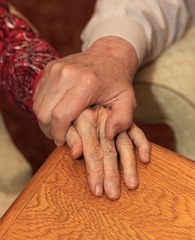 The photos accompanied the article “The Long Good-bye” by Julie Basque, on her mother facing the challenge of dementia. 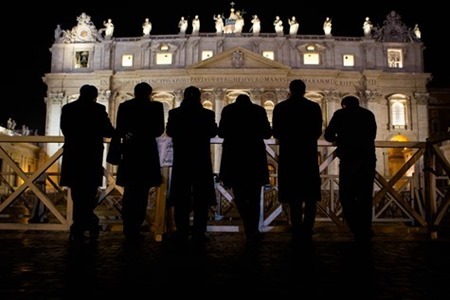 Since his election to the papacy, Pope Francis has captured the attention of the world – of Catholics and non-Catholics alike. 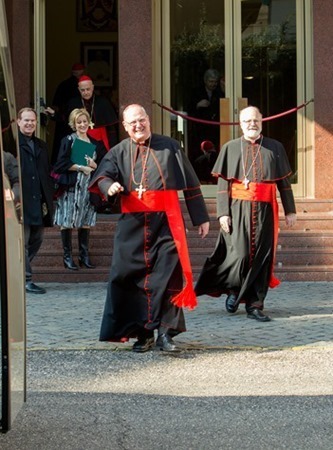 And, perhaps no one in the United States is closer to Pope Francis than Boston Cardinal Sean O’Malley. In March 2014 joined Pilot editor Antonio Enrique to produce this video of an interview with Cardinal O’Malley looking back at the looking back at the first year of Pope Francis’ papacy. I was deeply honored to be the sole photographer permitted to photograph the memorial Mass for the youngest victim of the Boston Marathon bombings, Martin Richard. 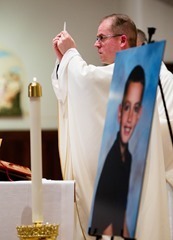 The Mass was held at St. Ann Church in Neponset on what would have been Martin’s 9th birthday. 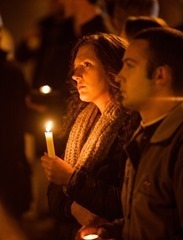 Photographs from the Mass appeared numerous local and national media outlets, including several local television stations, the Boston Globe and the Huffington Post. It was inspiring to see the Richard family who, I am sure, are still dealing with the after-effects of this tragedy in their own lives so courageously open themselves to the community to allow them to share in their mourning and quest for healing. 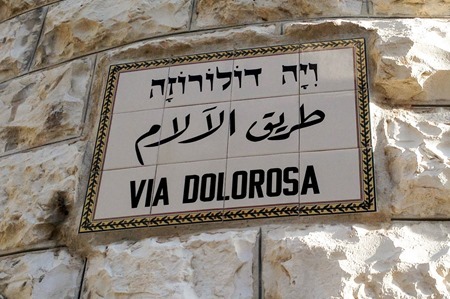 In 2013 I had the opportunity to make my first trip the Holy Land. 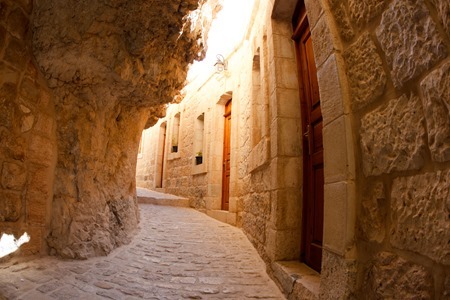 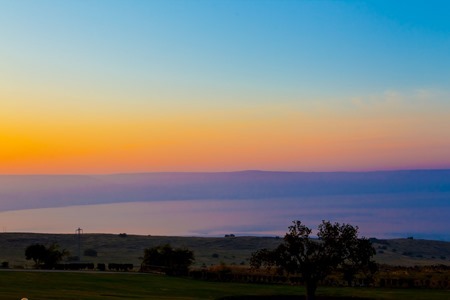 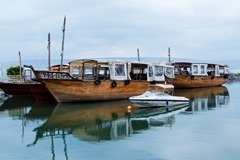 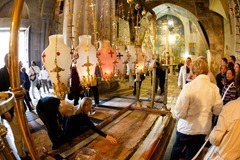 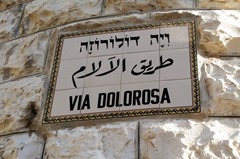 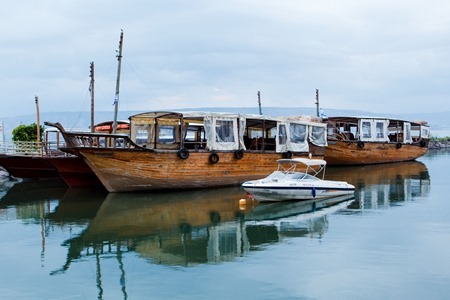 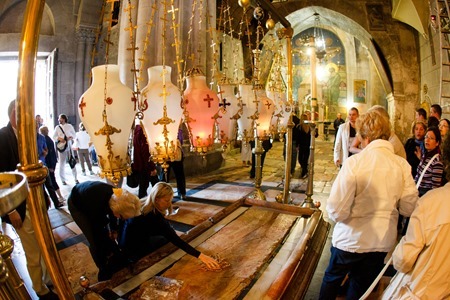 During the 10-day journey we followed the footsteps of Christ, from the Basilica of the Annunciation and the shores of the Sea of Galilee in the north of Israel to the Mount of Olives, the Via Crucis and Church of the Holy Sepulchre in Jerusalem. 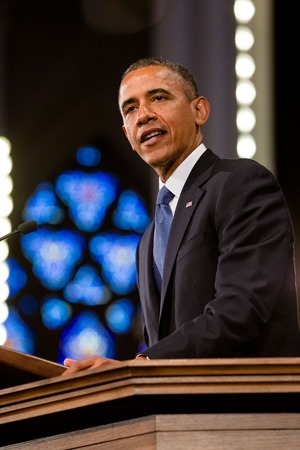 President Barak Obama joined Boston interfaith leaders for the Healing Our City Prayer Service held at the Cathedral of the Holy Cross in Boston April 18, 2013, just three days after the bombings. See my full coverage for The Pilot here. 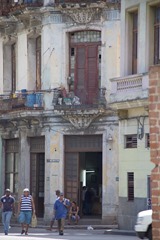 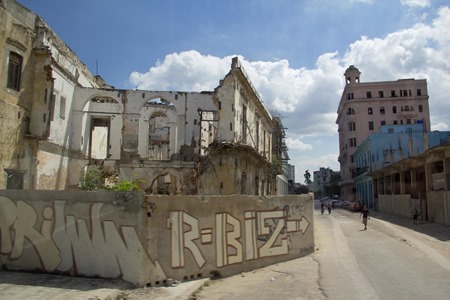 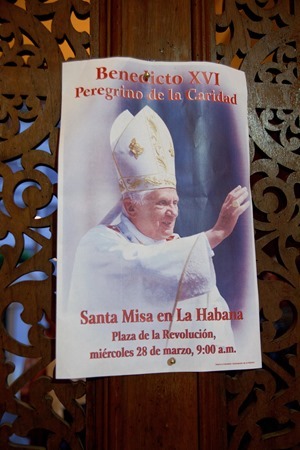 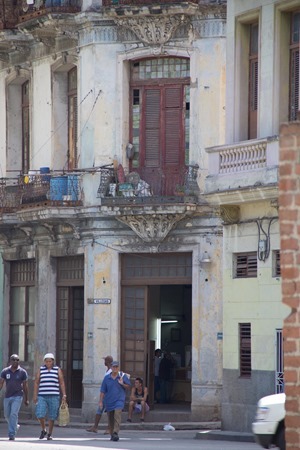 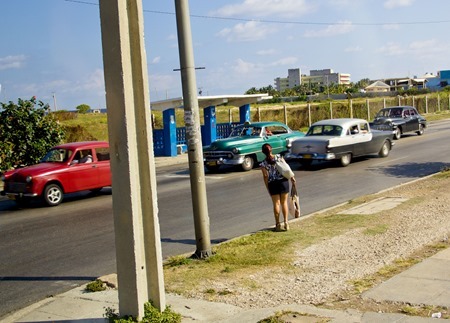 In March 2012 I accompanied a small group of pilgrims from Boston traveling to Havana, Cuba to present for the historic visit of Pope Benedict XVI. 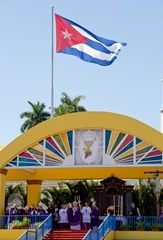 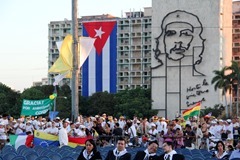 The pinnacle of the visit was the Mass celebrated by Pope Benedict in Havana’s Revolution Square. 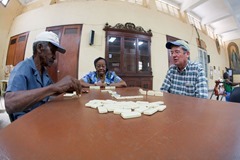 See more photos of the trip here. 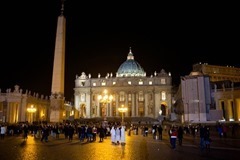 In February 2013 Pope Benedict XVI became the first pope to step down from office in centuries. 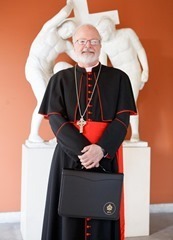 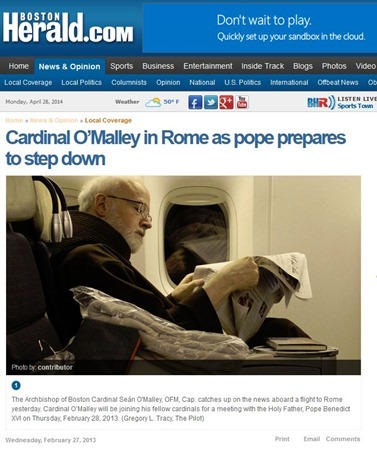 I was able to accompany Cardinal O’Malley on his journey to Rome to be present for the final gathering with Pope Benedict before his resignation and to begin the process of the electing his successor. 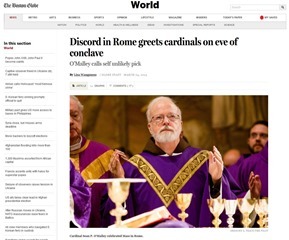 While this was certainly a significant moment for the entire Catholic Church, it certainly took on sense of greater importance once speculation began swirl that Cardinal O’Malley could be the first American pope. 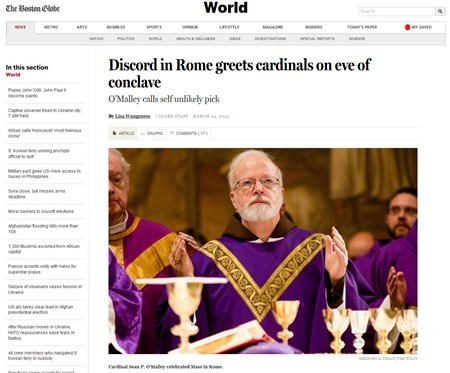 For ten days I chronicled events from Rome through stories, photos and videos that were posted daily as part of a special report Dispatches from Rome, undertaken as a collaboration between The Pilot and The Good Catholic Life radio program. 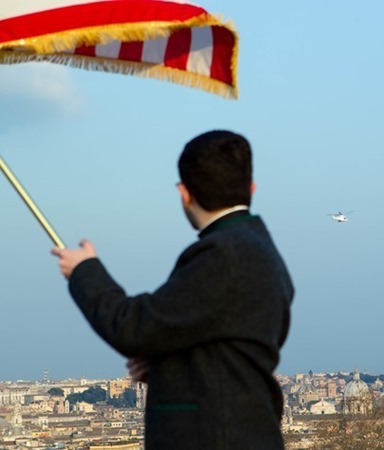 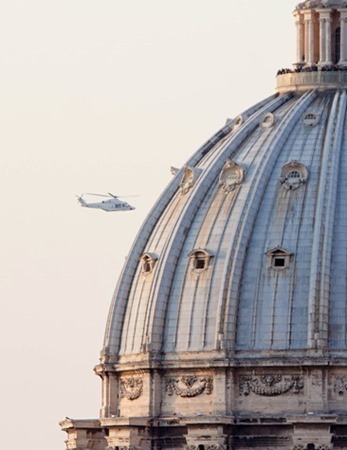 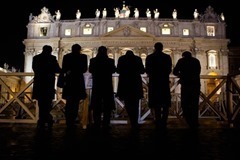 Being present as the helicopter lifted off from the Vatican grounds in the late afternoon and later being present in St. Peter’s Square as the bells tolled that the Chair of St. Peter was now vacant was a truly historic moment to experience. 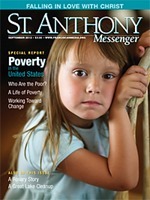 My photos of Janine Carreiro of the Brockton Interfaith Community are featured in the Sept. 2012 issue of the St. Anthony Messenger magazine. Janine and her organization were featured in a special report “Poverty in the United States” focusing on the problem and those who work to combat it. 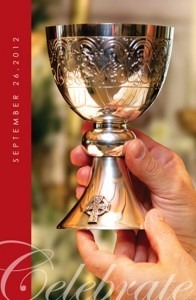 I am happy to have contributed this image which is being used to promote the 2012 Celebration of the Priesthood Dinner held Sept. 26 at the Seaport World Trade Center in Boston. The dinner is the primary fundraiser for the Archdiocese of Boston Clergy Funds, which support the medical and retirement needs of Boston priests. 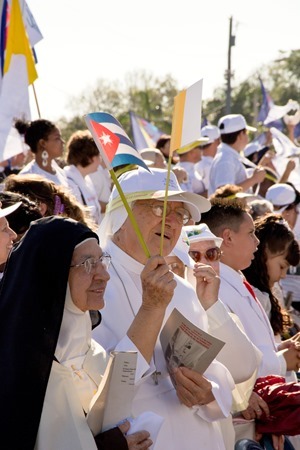 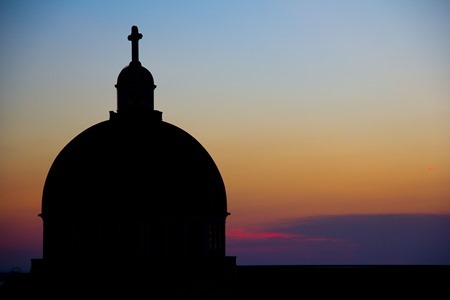 I am pleased to say that I received second place in the category of Best Photo Illustration at the 2012 Catholic Press Association Awards presented June 22, 2012 in Indianapolis. The photo, which accompanied the story “Parishes adjust to new Mass translation,” appeared on the front page of the Dec. 2, 2011 edition of The Pilot. 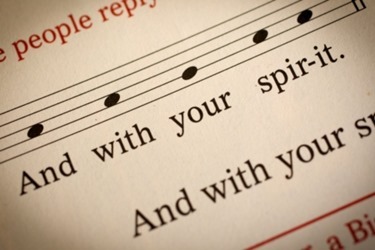 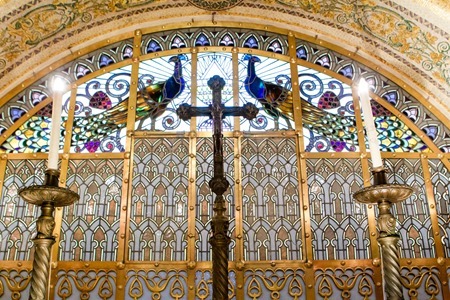 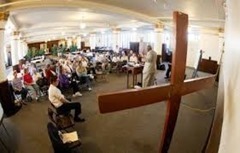 The context of the photo was that, beginning in Advent 2011, there were several changes implemented to the wording of the Catholic Mass in English. 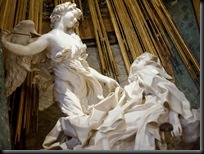 Of course, the main challenge of the photo was not technical but conceptual – How does one depict what is, essentially, an auditory change in a silent, still medium? 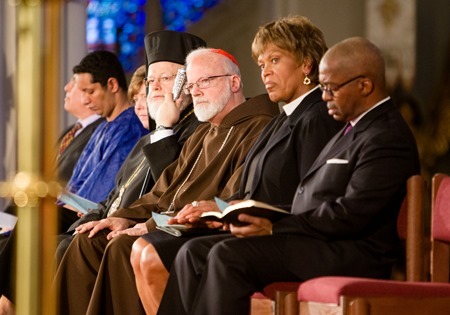 I am grateful that the judges recognized my work. I’m pleased to announce that my images have been used extensively throughout the online and print development materials produced by the Campaign for Catholic Schools (such as the image on the right). 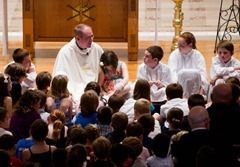 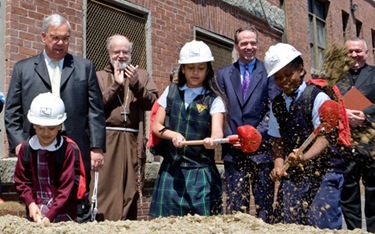 CCS is an initiative to revitalize Catholic schools in the Greater Boston area. 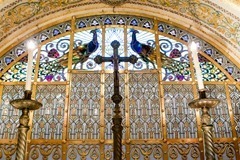 Click ‘more’ to see some more examples or click the CCS link and browse around! 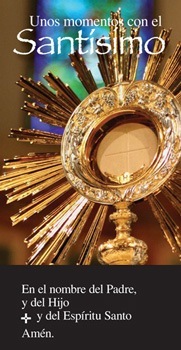 Continuing my partnership with Liturgy Training Publications based in Chicago, my image of a monstrance was the central graphic element of a Spanish-Language pamphlet on the Eucharist. 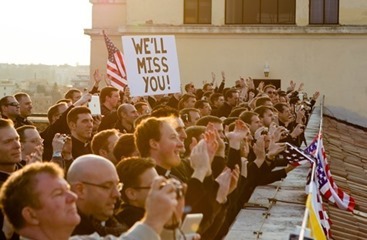 I have been awarded First Place for Best General News Photo in the 2008 Catholic Press Awards for my photo "Fallen Hero". This marks the third straight year my work has been recognized by the Catholic Press Association of the United States and Canada. 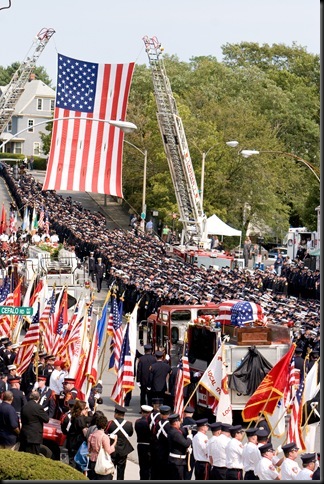 The photo was part of my coverage of the funeral Mass of Boston Firefighter Paul Cahill who, along with Firefighter Warren Payne, died fighting a 2007 restaurant fire in West Roxbury, Mass. 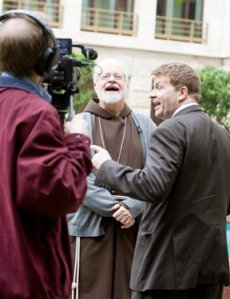 Below is an audio slide show of the entire event.